Benowa is a well Established suburb of the Gold Coast. Located close to the Southport CBD. Benowa has a mixture of established residential homes as well as acreage living. 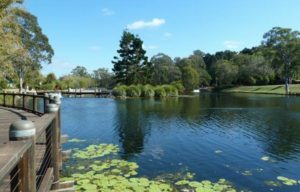 Part of the suburb of Benowa is known as Benowa Waters, a canal estate with many beautiful and prestige properties. The Rosser Park, Botanical Gardens are also located in Benowa along with the Benowa Gardens Shopping Centre and the Benowa Village shopping centre. There is no shortage of schools in Benowa, the Benowa State School, the Benowa State High School and St Kevin’s Catholic School are all centrally located in Benowa. The Pindara Private Hospital with its own accident and emergency department is also located in Benowa along with many Medical Professional suites. All of these facilities located within one suburb make Benowa very attractive to homebuyers. We often undertake pre-purchase building and pest inspections in Benowa. We send out two highly experienced and licensed inspectors at the same time and our clients are also most welcome to attend also. View the reviews and comments from our other customers who have purchased properties in Benowa and engaged us to undertake their pre-purchase building and pest inspections for them! Hi Peter, thank you for the inspection report! We have decided to move forward on the property and will take all of your advice into consideration. Thank you very much for your assistance today. Have a good weekend! Thank you for the report Peter and for explaining everything so well. We will call you soon when we find a property for Dad. Much appreciated.